Meimei System Milestone – 16 Woodpys! Finally. 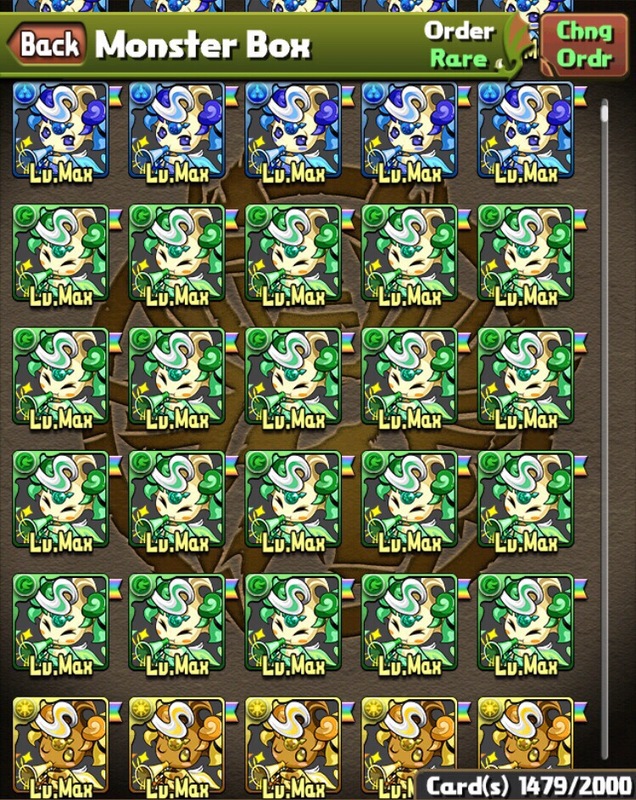 I now have 20 Woodpys, enough to max skill Awoken Bastet and four Awoken Meimeis. Now I just need Guan Yinping to come by again and I’ll have everything ready for my Meimei System. Oh, rolling a Zuoh might help. And I should probably +297 everything… still so much work to do. Here are the last two drops. I guess the only problem farming with this team is it’s easy to zone out and forget to take screenshots. I’ll probably hit up alt. coins again for fodder to level up the Guan Yinpings, but after that I’ll be taking a long break from them. This entry was posted in meimei system project, puzzle & dragons, pys and tagged woodpy. Bookmark the permalink. Could you post a video of how to farm these techs with that team? I have all the pieces but only a single Rodin. Wondering if working on a goemon is worth it.. I can try to do that later today, although I probably won’t have anything up until much later in the night. I threw together a quick video: https://www.youtube.com/watch?v=kUB3b7INVIc. Sadly, this coin rotation ends today and it doesn’t look like the team works for the other rotations.